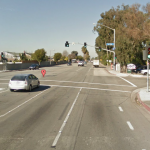 PHELAN, SAN BERNARDINO COUNTY (October 13, 2013) – A two car crash in Phelan late Sunday afternoon claimed the life of a little girl. Elissa DiCarlo, an 11 year old girl from Pinon Hills, was a passenger in a 2004 Saturn that was struck by another car. The accident happened at Duncan Road and Sheep Creek Road at around 4:10 p.m. Police report the Saturn was traveling westbound on Duncan Road was struck by Dodge Dakota which was southbound on Sheep Creek Road. The little girl died at the scene from the blunt force trauma of the crash. The condition of the other people involved in this crash has not been released. Officers from the California Highway Patrol investigators are looking into the cause of this tragic accident and which vehicle is liable, witnesses should contact them. Sheep Creek Road is a small one lane road on either side with no stop signs. The intersection at Duncan Road is controlled by stop signs on Duncan Road only. It is not known whether drugs or alcohol played a role in the collision. 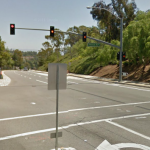 California Wrongful Death law permits Elissa DiCarlo’s next of kin to file claims for wrongful death against the at fault driver in the collision. The value of the claim will likely exceed the insurance limits of the drivers. If you have any questions or are interested in a police report, contact Personal Injury Lawyer Edmond El Dabe at 888-333-8882 or at http://injurylawcentral.com.